Global sales of natural colours overtook sales of artificial or synthetic colours for the first time in 2011, according to new research from global market researcher Mintel and global food researcher Leatherhead Food Research. In 2011, global sales of natural colours were almost US$600 million, up by almost 29 per cent on 2007, demonstrating an annual growth of more than 7 percent. The increase in sales means the overall food colours market share held by natural colours is up from 34 per cent in 2007 to nearly 39 per cent in 2011. Australian brand Rosella will close down after nearly 120 years as an operational business. The company, which produces the iconic Rosella Tomato Sauce, will close its Sydney operations in the next few weeks and the company’s 70 remaining staff will lose their jobs. However, a new opportunity exists for someone wanting to buy the brand rather than the factory business. The Rosella brand is one of Australia’s best-known brands for tomato sauce, as well as soups, chutneys and relishes. Rosella’s parent company, Gourmet Food Groups, was placed in receivership in November 2012. Ferrier Hodgson partners were appointed receivers of the company, following an estimated $50 million debt with the National Australia Bank. Ferrier Hodgson said the closure of Rosella comes after efforts to sell the business have been unsuccessful. Earlier this month, another Gourmet Food Groups brand, Waterwheel Industries, which produces Waterthins and Waterwheel biscuit brands, was sold to Green’s General Foods. Ferrier Hodgson will now turn to selling the brands within the Rosella group including Rosella, Aristocrat, Blue Banner, Galiko, Stromboli and The Curry Makers. The Australian nut industry has welcomed the NHMRC Australian Dietary Guideline’s recommendation that Australians increase their consumption of nuts by 350 per cent. The guidelines suggest that up to 30g of nuts a day – or a small handful – is beneficial to health. 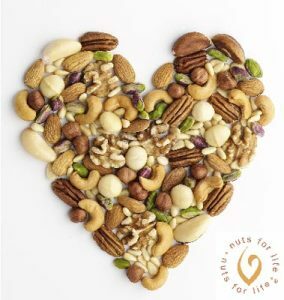 The Australian nut industry body Nuts for Life says the recommendations is supported by further research the Spanish research group PREDIMED showing that a Meditteranean diet including nuts reduces the risk of heart disease and stroke. “It is satisfying to see that the NHMRC Australia Dietary Guidelines now acknowledge the important role nuts play in the diet by recommending a regular 30g handful of nuts. This latest revision of the dietary guidelines puts the final nail in the coffin of low-fat diets as the preferred option for a healthy diet. At last healthy fat foods are back on the menu,” said Dietitian and Nuts for Life manager, Lisa Yates. Meanwhile, a study undertaken by Novotny and others, published in the American Journal of Clinical Nutrition in August 2012 found that the energy content of nuts and how they are digested by the human body had in the past been poorly understood. The study found that the calorie value for almonds had been overestimated by about 20 per cent previously, which might have contributed to concerns about nuts being part of a regular diet. The study concluded that the way calorie intake is currently measured is problematic because it doesn’t assumes that nutrients are digested in the same way by the human body, regardless of what food they are found in. The researchers found that almonds have fewer calories than previously thought because the fat in the nuts is not easy for the body to digest and so some fat will be excreted. Research from Europe has also highlighted other health benefits and promoted the regular consumption. The research by Dr Emilio Ros and others from the Spanish group PREDIMED supported the health protective qualities of nuts over other foods. “There are the six large observational studies consistently showing heart disease protection with increasing nut intake, and there have been 30 or more short to medium term clinical trials consistently showing that nut diets, including any variety of nut, lower blood cholesterol,” said Dr Ros. While visiting Australia recently, Dr Ros recommended an increase in nut consumption for various health benefits. Australia’s National Heart Foundation has challenged a new book about the ‘dangers’ of eating vegetable oils. 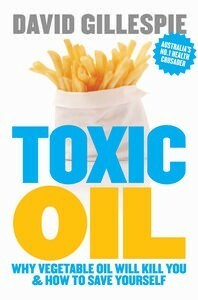 The book, ‘Toxic Oil’, published today by Penguin Books Australia by lawyer David Gillespie claims that eating seed oils is bad for health, despite advice to the contrary given by health agencies and government. Gillespie writes that the human body has not evolved to digest polyunsaturated seed oils and that humans should instead be eating ‘more natural’ saturated and monounsaturated fats from animal and other sources. Gillespie’s previous books, ‘Sweet Poison: why sugar makes us fat’ and ‘Big Fat Lies: How the diet industry is making you sick, fat & poor’, were both bestsellers, and attracted supporters and critics from within the food industry and nutrition health sectors. The Heart Foundation has strongly refuted the claims about the negative health effects of seed oils. “There is no single cause of chronic diseases, including heart disease,” a statement issued today by the Heart Foundation said. “However there is scientific consensus that replacing saturated fat with unsaturated fat, in particular polyunsaturated fat, reduces your risk of heart disease”. The organisation said it was dangerous, misleading and wrong to say otherwise. There is consistent research to suggest that polyunsaturated fats reduce ‘bad’ cholesterol in the blood, and increase the ‘good’ cholesterol, which helps to lower the risk of heart disease. For these stories and more, visit the Australia Food News Website. Missing breakfast may increase the risk of heart attack or death from coronary heart disease, according to a new study published on 22 July 2013 in the American Heart Association Journal ‘Circulation’. Another study, funded by cereal manufacturer Kellogg’s found that US adolescents who ate breakfast had more success with losing weight and maintaining this weight loss for up to two years. A large 16-year study has found that men who reported that they skipped breakfast a 27 per cent higher risk of heart attack or fatal coronary heart disease than those who reported that they ate breakfast. Even after accounting for modest differences in diet, physical activity, smoking and other lifestyle factors, the association between skipping breakfast (or eating very late at night) and coronary heart disease persisted. Researchers analysed food frequency questionnaire data and tracked health outcomes for the 16 years between 1992 and 2008 on 26,902 male health professionals aged 45-82. Men who reported eating late at night (eating after going to bed) had a 55 per cent higher coronary heart disease risk than those who didn’t. But researchers said they were less convinced this was a major public health concern because few men in the study reported this behaviour. Global beverage giant may face court in the US over claims that it “fraudulently” markets is ‘Vitaminwater’ product as a “healthful alternative” to soft drink, after a Federal Magistrate recommended to a Federal District court that the suit proceed as a class action. The suit, first filed by the Centre for Science in the Public Interest (CSPI) and private law firms in January 2009, targets the marketing and labelling of Coca-Cola’s ‘vitaminwater’, which the Plaintiffs said is “misleading” and “fraudulent”. The latest ruling, by US Magistrate Judge Robert M. Levy, recommends that the Plaintiffs be able to litigate for declaratory and injunctive relief, but not for damages. “This decision puts this case on a glide path toward a jury trial where Coca-Cola will have to defend under penalty of perjury the deceptive claims it has made and continues to make in connection with Vitaminwater,” said Steve Gardner, CSPI Litigation Director. “That will put the Company in the awkward position of squaring its marketing of Vitaminwater as a healthy, disease-fighting drink with its later assertion that ‘no reasonable consumer’ would ever believe such marketing,” Mr Gardner said. A panel of leading Australian food industry experts has ruled out plain packaging of high calorie foods as a possible way to fight obesity. Plain paper packaging was one of the key topics debated at the 46th Annual Australian Institute of Food Science Technology (AIFST) Convention held in Brisbane recently. While the panel agreed that plain packaging was “inappropriate and likely to be ineffective”, speakers on the panel did suggest a range of other ideas to tackle the complex issue of obesity. The panel said all sectors of the food industry needed to move towards increasing the nutrient content of foods. “Traditional hunter-gatherer diets were driven by cravings and needs,” said Vic Cherikoff, of Australian Innovative Ingredients and winner of the 2013 AIFST Food Industry Innovation Award. “We may be in an age of supermarket foraging but we still have biological needs for certain macro and micronutrients, including antioxidants,” he said. “When we are eating high calorie, low nutrient foods, there may be a risk that we are overeating in an attempt to meet our nutritional needs. We need to look at maximising nutrient content of foods – both processed and those at farm gate – to meet our needs and reduce the risk of overeating,” Mr Cherikoff said. Food Standards Australia New Zealand (FSANZ) has invited submissions on an application to change the Food Standards Code to allow food derived from a genetically modified soybean. The application, submitted by Bayer CropScience and Syngenta Seeds, sought permission to allow food derived from a soybean genetically modified to be tolerant to two herbicides, glufosinate-ammonium and mesotrione. “The FSANZ safety assessment found no public health or safety concerns and food from this soybean line is as safe for human consumption as food derived from conventional soybean,” said Steve McCutcheon, FSANZ Chief Executive Officer. “FSANZ welcomes comments from government agencies, public health professionals, industry and the community,” he said. The closing date for submissions is 23 August 2013. Full details of the application and how to make a submission can be found on the FSANZ website. Regular consumption through yoghurt of beneficial bacteria, known as probiotics, alters brain function, according to an early proof-of-concept study from the University of California Los Angeles (UCLA). The study, conducted by scientists at UCLA and published in the June online edition of the journal Gastroenterology, found that changing the bacterial environment, or microbiota, in the gut changed the areas of the brain that were active, both while in a resting state and in response to an emotion-recognition task. Scientists have known that the brain sends signals to the gut, which is why stress and other emotions can contribute to gastrointestinal problems. The UCLA researchers said this study showed that the signals also travel in the opposite direction, from gut to brain. “Time and time again we hear from patients that they never felt depressed or anxious until they started experiencing problems with their gut,” said Dr Kirsten Tillisch, an Associate Professor of Medicine at UCLA’s David Geffen School of Medicine and lead author of the study. “Our study shos that the gut-brain connection is a two-way street,” she said. “Our findings indicate that some of the contents of yoghurt may actually change the way our brain responds to the environment. When we consider the implications of this work, the old sayings ‘you are what you eat’ and ‘gut feelings’ take on new meaning,” Dr Tillisch said.